There are, of course, no guarantees. 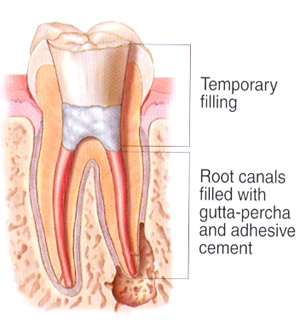 Root canal or endodontic therapy has a very high degree of success, up to 90%. Teeth that can be treated near ideal have a success rate up to ninety percent! We will discuss with you the chances of success before any endodontic procedure to help you make an informed decision. If a root canal or endodontic therapy is unsuccessful or fails you still have options. 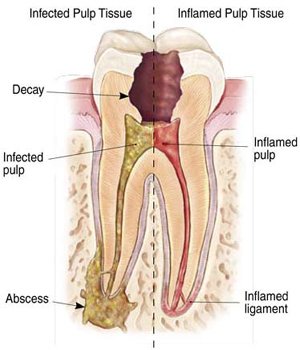 Occasionally a tooth that has undergone endodontic, treatment fails to heal or pain continues despite therapy. Although rare, sometimes a tooth initially responds to root canal therapy but becomes painful or diseased months or years later. When either of these situations occurs, the tooth often can be maintained with a second endodontic treatment.